John Mark Tillman, the Halifax-area man at the centre of a hoard of stolen artifacts, pleaded guilty today to 40 charges, including theft, fraud and possession. 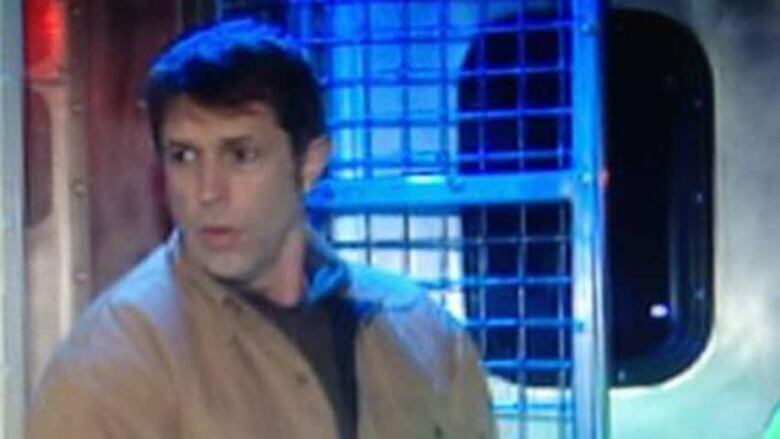 He was sentenced to nine years for his crimes. Tillman is getting a year's credit for the months he' has spent in jail since his arrest last January. Tillman also agreed to forfeit everything — the house, his bank account worth more than $300,000 and everything he stole over a lengthy criminal career. In a surprise move toward the end of the sentencing, Tillman agreed to help authorities reunite people with their stolen items. “Obviously he’s remorseful for his conduct and he just wants to get on with his life,” said Tillman's lawyer Mark Bailley. 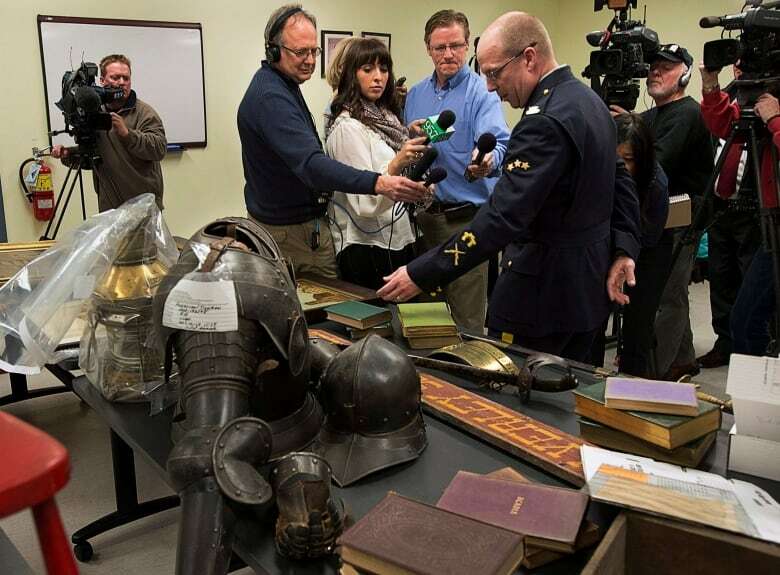 The guilty plea ends a case in which police seized 1,600 artifacts that came from museums, galleries, universities and antique stores across Atlantic Canada. "This file has been ongoing since January," RCMP Cpl. Scott MacRae said in an interview earlier this year. "This in fact has been a unique and interesting file for investigators. "It has taken them down many paths." As Tillman's legal saga ends, the CBC can now report details of that investigation — details obtained from the court process that have been under a publication ban until now. The case kicked off when when police pulled over Tillman's car in a routine traffic stop in July 2012. An officer spotted a historic letter from British Gen. James Wolfe and a cheque for $1,500. Police were able to trace the letter to the Killam Library at Dalhousie University. "We did a comprehensive inventory of our holdings back in 2009, and that's what we're using as our basis for identifying missing materials," said Michael Moosberger, chief archivist at the library. He remembered Tillman as a frequent visitor to the university archives until tighter security measures were implemented. As police were starting their investigation, Tillman's then girlfriend, Theresa Kuhn, accused him of assault and forcible confinement. Those charges were dismissed at trial, but Kuhn gave police a sworn statement, along with photos of items in Tillman's Fall River home. Kuhn told police that Tillman had told her a lot of the stuff was stolen. On Jan. 18, police got a search warrant for Tillman's house. They spent six days searching the property and seized hundreds of items. One is a videotaped tour of the lake-front property, narrated by Tillman himself, in which he shows and describes various items in the house and property. Portions of the video were played at Tillman's bail hearing. Police used the video to match items to things that had been reported stolen. A second key piece of evidence police found in their search was a letter Tillman wrote to his adult son, Kyle. Tillman wrote, "During my lifetime, I have struggled fiercely, wheeling and dealing and had scrapes with the law." The letter went on to say it was all so that he could leave something behind. Tillman's letter urged his son to "try to evade paying anyone that may have claim against my estate." His 1.6 hectare lake-front property is valued at approximately $700,000. There is no mortgage. Police also found and seized a bank account containing more than $338,000. All of this was amassed even though Tillman filed income tax returns from 2007 to 2011 in which he claimed no more than $11,560 a year. Some of that income was attributed to a company Tillman ran that imported industrial products from Russia. The company stopped operating in 2000. Much of Tillman's income appears to have come from stealing and reselling antiques. The court was told of how Tillman snagged a first edition copy of Charles Darwin's seminal book Origin of Species from the collection at Mount Saint Vincent University. The university reported the book stolen in 2009, and Tillman sold it to a local collector for $31,000. He in turn sold it at a Sotheby's auction for $42,500. Police were able to recover a letter written by George Washington before he became U.S. president. It was written while he was the commanding general of the Continental Army, and it was written to dispatch a man to Nova Scotia to spy on British forces in Halifax. The letter has been traced back to Dalhousie University. Moosberger said it's part of a private collection housed at the university. The letter has been valued at between $50,000 and $100,000. Not all of the items police seized were of extremely high value. Some are just things Tillman apparently took a fancy to. A hooked rug that had been displayed on the wall of a museum in the Annapolis Valley and ended up on the floor of Tillman's living room. A painting that hung on the wall of the Glebe House next to St. Mary's Basilica in downtown Halifax was found hanging on Tillman's wall. The painting was valued at less than $5,000. An antique water pump and a lemon extract bottle that police recovered were traced to the Fultz House Museum in Lower Sackville. An inkwell and an ammunition box were taken from Scott Manor House in Bedford. Books from the legislative library at Province House valued at $2,000. 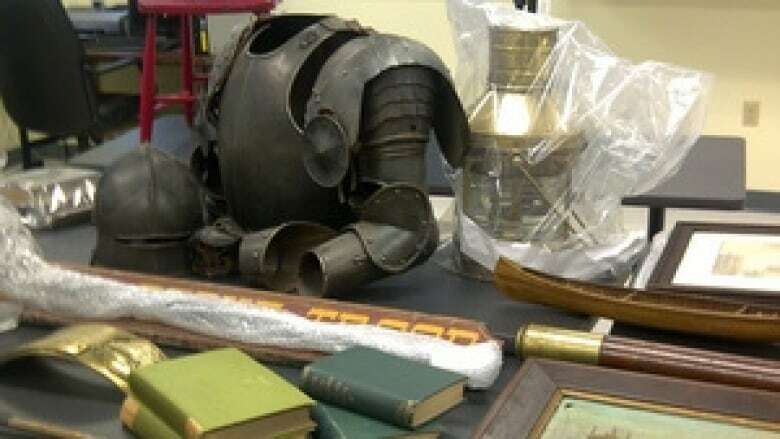 A suit of armour stolen from an antique shop turned out to be a movie prop, a theft that also sheds light on how Tillman operated. According to police, someone distracted the clerk while Tillman walked off with the armour. As their investigation progressed, police found that Tillman had been a familiar face at museums and universities in addition to Dalhousie. Police also said some of the items at Tillman's home, including a dining room table and chairs, were bought with a cheque that subsequently bounced. And the James Wolfe letter that launched the police investigation? It has been valued at $15,000. Police are seizing all of Tillman's assets under proceeds of crime legislation. They put the total value at around $1 million.